Thanks to everyone who bought clothing in today. It was a great start to recycling any no longer needed uniform. Many people asked about other times to donate. Alison will be collecting on Thursday 8th and Friday 9th September 8.30-9am when we are back at school. Thanks everyone and have a great summer. Year 3 and 4 Sports Day! Congratulations to Elm House who have won this year's Sports Day for Y34. In a closely fought contest they were able to rum faster, jump higher and throw further than the other teams. I was really nervous performing in front of the other children and parents. However my team mates cheered me on which really helped! We believe that it is important our pupils have the chance to compete and apply the skills they have developed in PE lessons. These days are also valuable opportunities for our pupils to improve their leadership and teamwork skills. If a child won a Gold medal their House accumulated 3 points, Silver medal 2 points and Bronze medal 1 point. Today the children from Australia class were rewarded for their outstanding attendance with a workshop from Mad Science. Galactic Grace taught the children about polymers (ask the children about Olly Murs) and gave them the exciting opportunity to make their own slime! 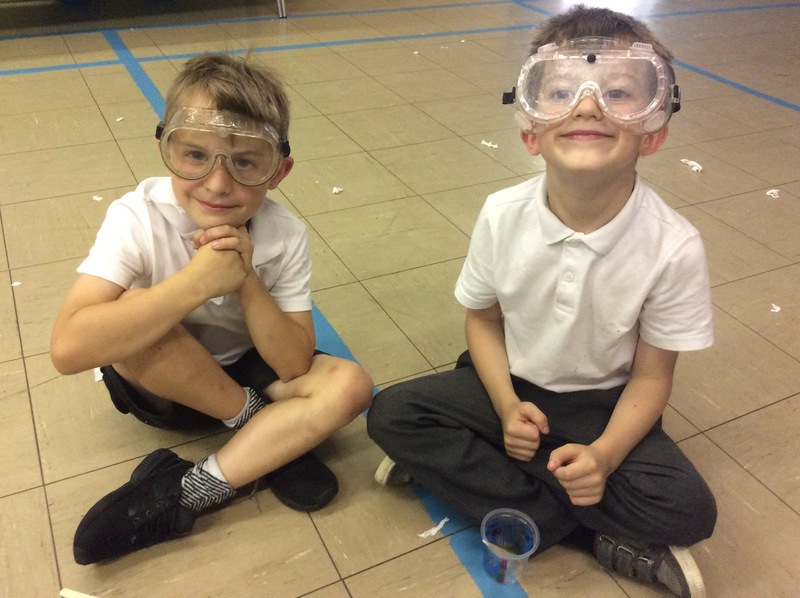 The children discovered what a "chemical reaction" was and they were introduced to a range of different science equipment. Don't they look great! The children had a fantastic time and were able to take their pots of slime home (watch out for the green troll bogey slime parents). Now that we have had the workshop I'd love to win again. I'm going to make sure that I will be here every day on time! What has the impact of the Science Workshops? Each term, the class with the most reading trophies in each phase wins a prize. This is £20 to spend on books for their class! Well done and keep reading! I am really excited to help my class choose their new books. We all worked really hard to keep our reading record books up to date. Did you ever want to be a mad scientist and make disgustingly gooey slime? As a reward for their fabulous attendance over the year, Kenya had the opportunity to learn about polymers and putty with a Mad Science workshop. They learned that polymers are somewhere between solids and liquids and could be made by adding chemicals together and watching the reaction! They each took a pot of slime home with them. Watch out for the furniture! "It was great fun to make troll bogey slime. I want to be a scientist when I grow up!" "It was definitely worth coming to school every day for this reward!" Well done to all nursery children for an excellent graduation ceremony. Even in this heat the children gave it their best and a great day was had by all, even a few happy tears! We wish everyone the best of luck next year in their new classes. Thank you to all the parents who came for their continued support at Mead. Year 2, Ready Steady GO! The children had great fun participating in this year's sports day. We helped each other by cheering loudly. On the obstacle course, some of the older children helped us by putting the equipment back if we tripped over. In our PE lessons we practised the events so that we knew what to do. The javelin was hard, but in the end I was able to throw it 10m! Amelia said, "I loved going under and over the hurdles the best!" All the children said they can't wait for next year's sports day because it was such great fun. New Zealand had that feeling, dancing on the ceiling! We had a great time partying this afternoon. We were dancing and eating delicious party food. A great way to end a fantastic year! A big thanks to parents for supplying us with lots of food. Congratulations to Brazil class who had the best attendance across the year in Upper Key Stage 2. As a reward they had the opportunity of having a 'Mad Science' workshop, which was fun yet educational. Frankie, Hope, Sabahat and Kalie all agree that it was the best scientific experience they have had. We learnt about physical and chemical changes and got the chance to mix different chemicals to see what happened. Firstly they used sodium silicate, water, copper sulphate and magnesium. The reaction of chemicals with metal meant that they could grow crystals. It was a slow process but they could see their crystal garden start to develop...... but a much quicker reaction was when they mixed Mentos with diet coke! Palau Class boogied the morning away. The party was a reward for the way that the pupils have worked hard this year and done their best in every lesson. There was party food, dancing and games. All the children had a fantastic (if rather sweaty) time! Thank you to the parents for your contributions of delicious party food. On your marks, get set.....go! On Monday 11th July the children from Year 1 took to the field to participate in lots of fun activities. "We got lots of exercise" said Logan.
" I liked doing everything" exclaimed Amiyah. A massive well done to all of the children for trying their best and earning loads of points. Ever wanted to do more to support your child's school? Ever thought you could use your talents to make a difference? These dedicated and determined parents did, and look what they have achieved! In total this year Friends of Mead have raised around £4,500! Some of this has so far been spent on footballs for the playground, refreshments for the Queen's 90th Birthday, donations to charity, year 6 trip refreshments, and other treats for the children. Thanks go to Mrs Hockley, the Chair, Mrs Bodle, Mrs Manley, Mr & Mrs O Flynn, Mrs Tisbury, Mrs Joyce, Mrs Rowley and all the other parents and carers who have given so much of their time and energy this year. A special thanks must also go to Mr Chris Kent, Chair of Governors, and Mr Chris Cowley, Site manager, for their endless support for all the events organised. These community events are part of what makes Mead so special, and WE NEED YOUR HELP to keep this vital group going. If you can spare just a few hours a term to help run an event, please contact Mrs Hockley, via the school office. YOU TOO CAN MAKE A DIFFERENCE- DO IT NOW! 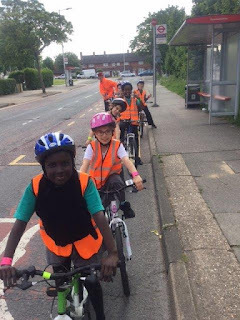 With hearts full of excitement and heads full of questions, the School Councillors set off to the station to catch an early morning train to The Houses of Parliament on Friday the 15th of July. Would they see our brand new Prime Minister? Could they hear a heated argument in the House of Commons? Better still, would they catch a glimpse of Her Majesty? The School Councillors were greeted by an enthusiastic and friendly tour guide who guided them and showed them what the Queen did on the State opening of Parliament. Did you know that the Queen even have a golden throne in the Chamber of the House of Lords? ‘It is very impressive’, Lorraine sighed, looking longingly at the intricate design of the golden chair. After a grand tour of the chambers, the School Councillors met with another school from Dorset. Everyone received a machine and took part in a quiz to see what they remembered about the tour. The two school councils worked together to make a new law. Freddie was chosen to be the Speaker of the House of Commons and he had to keep all the MP’s in order. ‘This is a very tough job!, Freddie concluded after the heated debates. Got a puncture? Brakes not working? Jeremy Tranter -AKA Dr Bike- is training up pupils to be able to help him keep our pupils' bikes in good working order. He also teachers road safety and awareness skills to pupils so they can pass them on to others. Support from parents would also be greatly appreciated. So if you are good with spokes and spanners, pedals and your punctures, please contact Mrs Coop via the school office, to see how you could help. That's what we like to do here at Mead! Some of the pupils from the Year 3 & 4 bike club venture onto the roads, to build their skill and confidence at riding on the road. 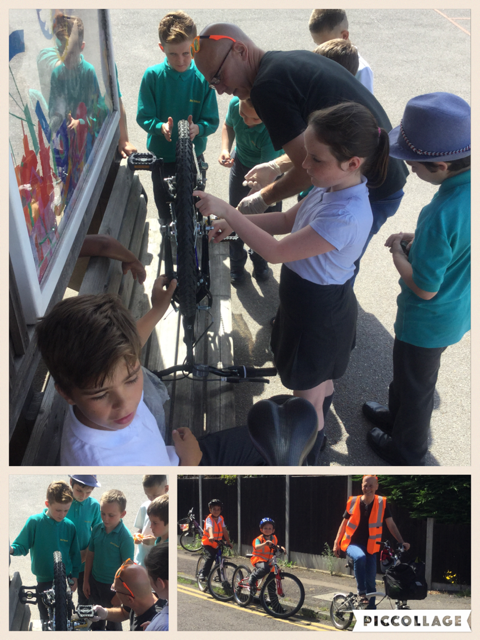 Thanks to Jeremy Tranter, from Sustrans, for helping us to run this club. Gate 3 (The Nursery Gate) will be open for all Year Groups to use to pick up their children at the end of the day today... and every day. However the morning arrangement will continue for the foreseeable future. Whilst there were some concerns raised by parents on the gate this morning the vast majority of families coped very well with the change. For reasons of safeguarding and being able to greet all main school pupils we will be continuing with this into the new school year. 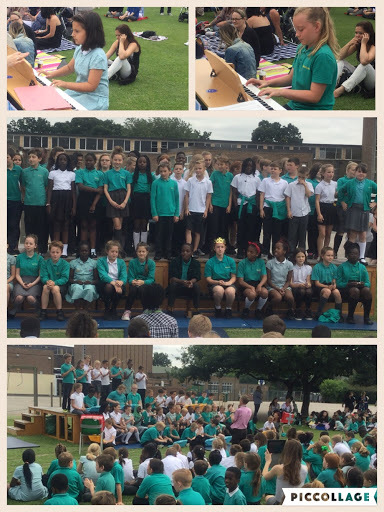 The crowds were wowed by the sweet sounds of singing, recorders playing and instrumental soloists. The sun was shining and the parents were picnicking! 'This year it went very smoothly. I was amazed by the high standard of performances from all the children. We are really proud of them. Good luck to those doing music exams on Monday!' said Mrs Kumszczynska . Mead have quite a reputation for musical achievement and quality performances thanks to the dedication and skill of Mr Gowers and Mrs Kumszczynska. Thank you and well done to them both. 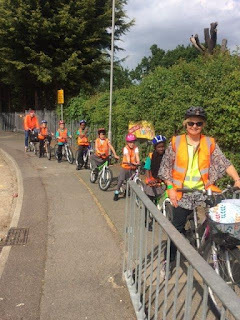 All year, the Travel Team and Junior Travel Ambassadors have worked hard to encourage pupils to cycle, scoot and walk to school. This helps to ease congestion, cut pollution, and keep our children fit and healthy. Well done all of you, it's been great working with you. for all ages and most importantly to have FUN! 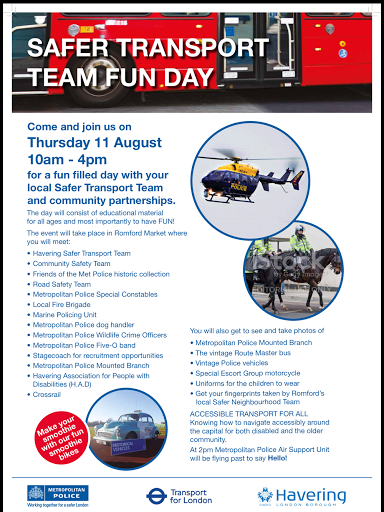 will be flying past to say Hello! The end has come for the Family Values Workshop! Over the past four weeks families at Mead Primary School have attended a Family Values Workshop in New Zealand Class (Year 1) with Miss Hagans and Miss Redgrave. We have had lots of fun working as a team together, getting creative and talking about our responsibilities within our families. These are just some of the wonderful comments from our parents. A special thanks to the families who attended!! We hope you enjoyed yourselves as much as we did!! What better way of ending the topic 'Splish, Splash, Splosh' than making an awesome diorama! The children collected shoe boxes and worked very hard to create an under the water scene. The children were able to master the art of diorama making independently. They each chose how to decorate the background and used their initiative and resourcefulness to solve ways in which to hang their sea animals. The children thoroughly enjoyed the task and the results of their dioramas showed the hard work and determination they put into it. Well done Y1! Join us for some fantastic fun and dancing with your friends tonight! Thursday 14th July. Southend Arterial Road over the Great Eastern main railway line. becoming necessary, resulting in considerable disruption in the long-term. planned to start in late July. two-way traffic will operate on the other side of the road. Corner to Squirrels Heath Road until May 2017 to allow us to complete the works. signed vehicle diversion will be in place during the closure. vehicles or on foot at all times. We are working hard to keep disruption to a minimum, but apologise in advance for the inconvenience and thank you for your patience while the improvements are carried out as quickly as possible. Work will continue in the area on Mondays to Sundays between 08:00 and 18:00, except during the times indicated above, to ensure that works are completed on time. Alternatively, please visit tfl.gov.uk/trafficnews or follow @TfLTrafficNews on Twitter the latest road travel updates. Live bus service updates are available from tfl.gov.uk/bus/status or @TfLBusAlerts on Twitter. Check out our wonderful new website and blog at http://www.mead.havering.sch.uk/. The full version of this newsletter is available on the blog page and Facebook. I am delighted to write to you in my position as the Interim Executive Head for both Mead and Broadford Primary schools. Thank you for the already warm welcome that I have received from pupils, parents, staff and Governors. To have the opportunity to work with your school and so many Harold Hill families and children is a real privilege. The last five years of my career have been the most enjoyable as this community has been a very friendly place to work and one where the children make every day rewarding. My vision is to ensure that we deliver nothing less than an outstanding school experience for your children, so that they have the very best start in life - they deserve nothing less. I believe that we can always find 1% gains to further improve what we do - and my job is to ensure staff have the resources, training and confidence to reach for them. It is very worrying that in 2016, where you are born in Havering still has such an impact on your life chances. Currently there is a 7 year life expectancy gap between children born in Harold Hill and those born in Upminster. If we don’t provide a world class education then we become part of the problem, rather than empowering the children to have a brighter future where they can choose their own place to life, work and raise a family. We have been working together more formally for about a year now and the impact is starting to be seen. Approaches are more consistent within and across schools, staff have consistently high expectations and results are up - significantly up on 2015. Having now met all the staff and the vast majority of the children I have high hopes for our united school community - which will number over 1,200 pupils and 120 staff. Together we will ensure that Mead & Broadford are the best schools on the Hill, and an education community that looks to put a dent in the universe much further afield too! Mead School cordially invites parents/carers to a musical extravaganza which will take place on Friday 15th July from 13:45 to 15:15 on the school field, weather permitting. There will be performances by all classes, instrumental soloists and Mead singers. Bring your family and friends for a fabulous music event. Don't forget to bring a blanket or folding chair. Congratulations to our Year 6 pupils for a fantastic set of SATs results. Despite the high expectations of the new national curriculum and the rigorous testing arrangements, our Mead pupils rose to the challenge and gave it their all. Determination to succeed, a motivation to learn and plenty of perspiration have resulted in 86% of our pupils meeting the required standard in Reading, 86% in Spelling & Grammar and 90% in Maths. This compares very favourably with the national picture where 66% achieved the standard in Reading, 70% in Mathematics and 72% in SPaG. Overall 79% of our pupils achieved the expected standard in all 3 areas of Reading, Writing (teacher assessed) and Mathematics. This is 26% higher than the national average of 53%. We are incredibly proud of all that our Year 6 pupils have achieved this year and these results are affirmation of the outstanding progress each child has made. Well done Year 6! Inflatables, candy floss, face paints, dancing, live music, pizza: these are just some of the wonderful things that children and families from Mead and Broadford enjoyed last Saturday 2nd July. Friends of Mead and staff at school did an amazing job to organise this community event and we were all delighted that the rain held off. The grand total profit was an unbelievable £3,435 . We would like to say a MASSIVE thankyou to Mrs Hockley, Mr Cowley, Mr Chris Kent , all the Friends of Mead and staff at school who worked so tirelessly to make this event happen. The money raised can be used to buy resources that will directly benefit the children- we will let you know what we decide to put the funds towards. How can YOU help in future? Get involved with Friends of Mead and help make your child's school a success! Thanks to all of you who bought tickets for the Prize Draw. The lucky winners of the 4 hampers were- Charlie Wisnlewski, Australia; Harper Tisbury, Madagascar; Hector Rimkus, Scotland; Leona Doughty, staff member. There were 18 smaller prizes too ranging from Golf vouchers to chocolates. We are sad to be saying goodbye to a number of staff this term who are all moving on to pastures new. Goodbye, good luck and a big thank you to Mr G Pitty, Miss G Hagans, Mr H Trusler, and Mr P Mead our IT technician who all have exciting new jobs to look forward to. Best wishes and thanks also go to Mr Wolfers, Mr Woods and Miss Hawthorne who are leaving us for new schools too. - 8 Children from Year 2, Year 3, Year 4, Year 5 and Year 6 competed in the Drapers Athletics Sports Day. - We competed against: Broadford, St Ursula’s, Drapers Brookside, Pyrgo Priory and Hilldene. - We came 3rd in Year 3. - We came 2nd in Year 6. The children’s behaviour was magnificent and they all did themselves proud. - We competed against: Broadford, Pyrgo Priory (2 teams) and Drapers Brookside. - We finished 3rd winning 2 matches and losing 2 matches. The children behaviour very well and enjoyed the experience. All the sports days have been very successful, thanks to the hard work of Mr Pitty, Year 6 pupils and a number of other staff who have helped to organise and run all these events. Can you spell 'discernible'? 'hyacinth'? 'Monochromatic'? The amazing children of Mead Primary School can! They proved it when taking part in the Drapers' Academy Spelling Bee 2016. Eight trusty spellers set off, four from KS1 and four from KS2. The younger children had their chance first and ALMOST triumphed! They made it to the tie-break round and were stymied by the word 'coyote' (from the KS2 list!) Runners-up though and very proud of themselves! The older children came next. Again, they made it to the tie-break! This time the word was 'monochromatic'. (from the KS3 list!) The other team failed to spell it so Mead were triumphant! How proud are we? What are your aspirations? What do you want to be when you grow up? These are questions Key Stage 2 pupils were being asked on Thursday 30th June at the 2nd Annual Careers Fair at Mead. An exciting range of professions were represented, including a headmaster, a hairdresser, an estate agent, an occupational health therapist, a graphic designer, a caterer, a member of aircraft cabin crew and a sports coach . The children had an exciting time finding out what kinds of qualifications they would need, and trying out some of the equipment used in these professions. Of 162 pupils surveyed after the event, 85% said that this event inspired them to think about different jobs they could do in the future, and 85% said they were considering going on to higher education after the age of 18. Lots of hungry cyclists and scooters enjoyed a free, delicious, healthy breakfast last Friday. 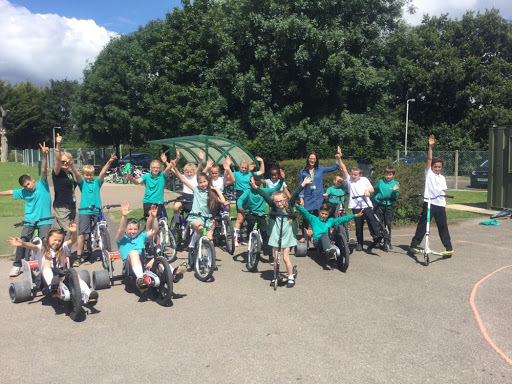 Pupils from all Key Stages tucked into the tasty treats, then came out to get some exercise at one of the extra playtime sessions held specially for those on wheels. We are helping to create ‘Commuters of the Future’ ; we are part of a plan to ease traffic congestion, which is set to rise steeply in our Borough over the next decade. Well done to all those regular readers who have managed to read at least 3 times a week at home all year. This is a great habit to get into, which will set you up for a lifetime of literary enjoyment! Thanks to Ann Stewart (Harper Tisbury’s nan); she donated a story book for every KS1 and foundation class. It was to raise money for the Chesterfield Royal Macmillan Cancer charity. 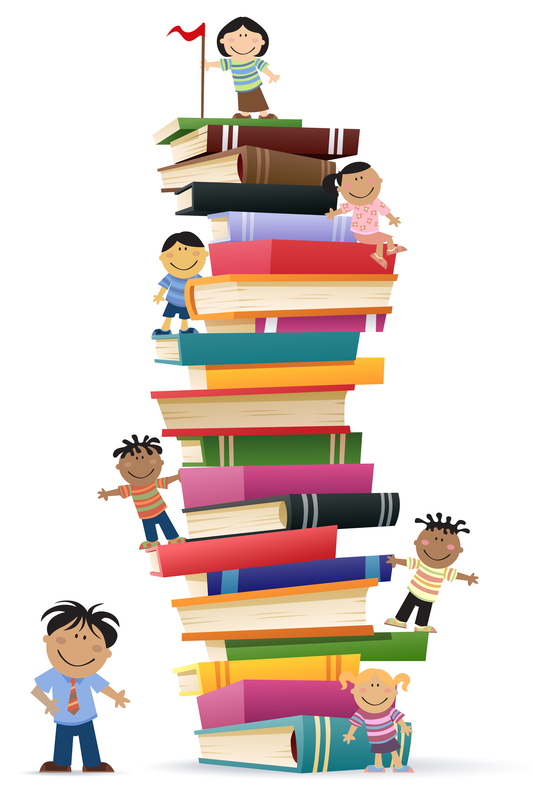 You can keep your reading up over the summer by joining in the Summer Reading Challenge at your local library. Harold Hill library will be moving to its new building within the shopping area of Hilldene a bit later than planned during the summer holidays so unfortunately the Summer Reading Challenge will be starting a little later there now as the library will be closed for a couple of weeks (probably from 16th July). The Summer Reading Challenge start date now for Harold Hill Library will be Monday 8th Aug (the National Start Date is Sat 16th July) This will still give the children five weeks to complete the challenge and they aren’t restricted to a book a week, just one book per visit, so that should still give them plenty of time. The winners of the best attendance all year will be invited to take part in the Mad Science workshop on Tuesday 19th July. There will be exciting rewards next year too, for the pupils and classes with the highest attendance. We would like to remind you that all pupils should be aiming for 100% attendance. Attendance below 96% is considered unacceptable by OFSTED. In September we will be launching our new school uniform. Your child will receive their free jumper/ cardigan in the new school bottle green colour. Please remember that ALL items of school uniform, PE kits, lunch boxes, water bottles etc; MUST have your child’s name and class on them BEFORE they bring them into school. This way they can easily be returned if they make their way to lost property. We would like to wish you all a wonderful summer break. Have fun, stay safe, and we will see you again in September. LAST DAY OF TERM. 2PM FINISH! Year 5 star of the week. Deep in the Forest at Mead! Hair Cut Helps Healthy Lungs! Year 3 Go Back In Time!